that Beachway Suites Vacation Rentals has to offer. Be as social or private as you wish! 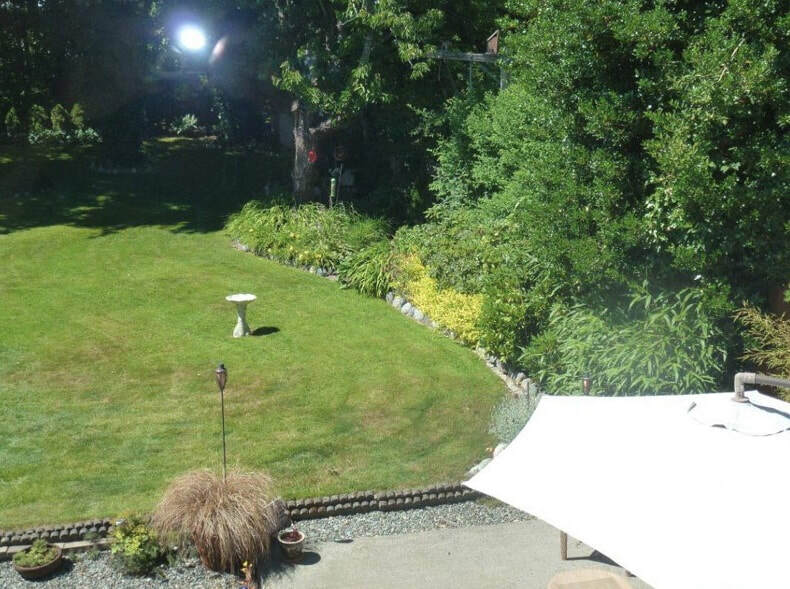 Campbell river vacation rental accommodation that is sure to please you. 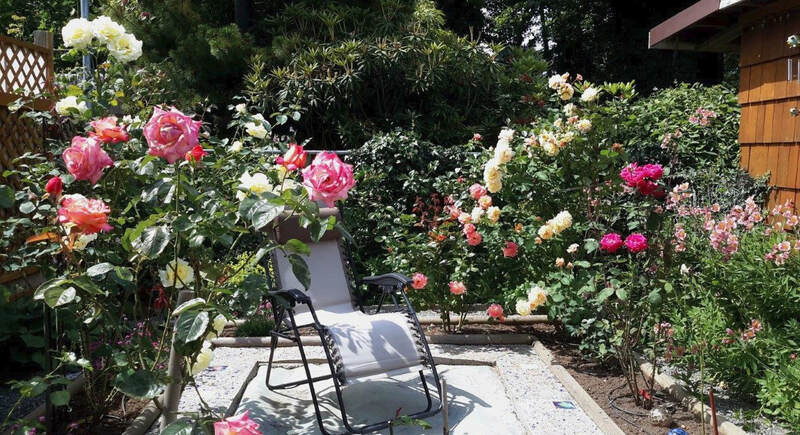 Campbell River is ideal for tourists and visitors, or for business travelers who wish to enjoy a comfortable and relaxed oceanfront atmosphere in Willow Point, 10 minutes south of Campbell River’s downtown. 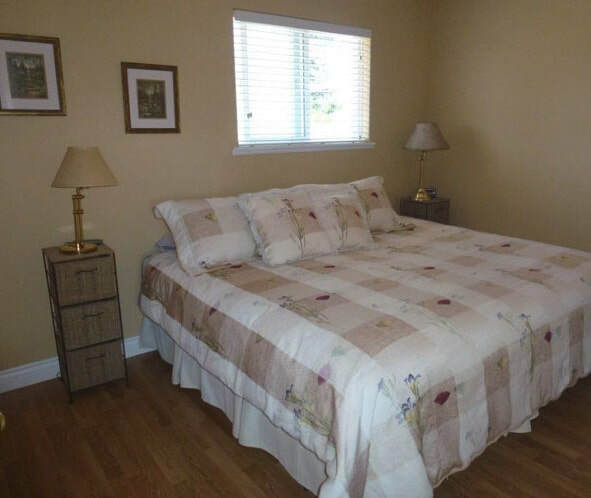 Beachway suites is a beautiful self catered Campbell River BC vacation rental. ​steps of Beachway Vacation Rentals and B&B Suites. Spectacular ocean views backed by the coastal mountain range await you there. ​ Feel like walking, roller blading or cycling? The 16 km Seawalk runs all along the waterfront to Downtown Campbell River! 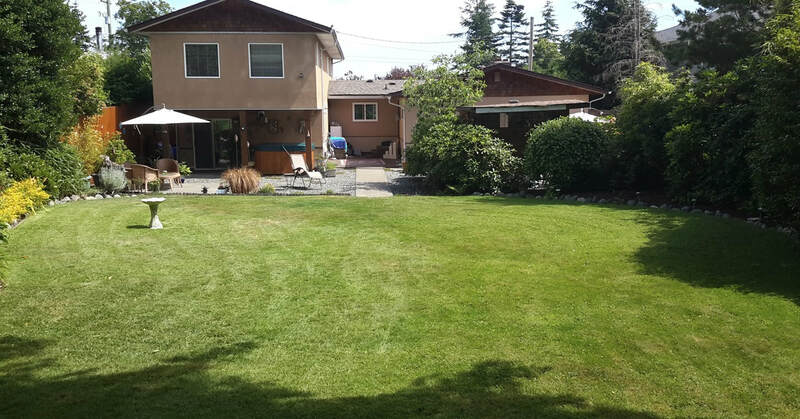 Campbell River is a thriving city of some 35,000 residents, spread out both north and south of Campbell River, to take advantage of our spectacular ocean views. 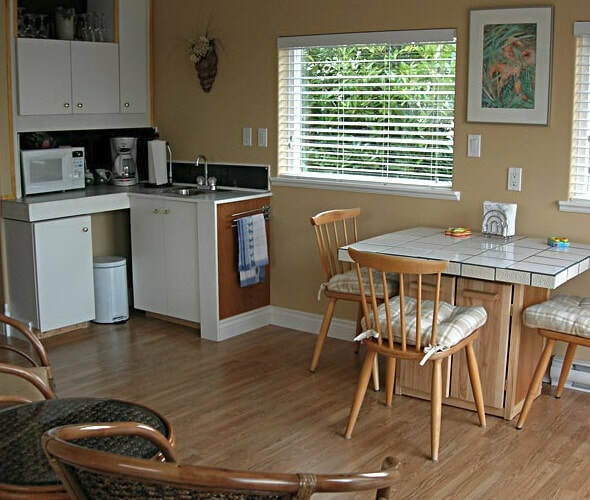 Willow Point, where Beachway Vacation Rentals and B&B Suites is located, is a 10 minute drive south of Campbell River, close to the Oceanside Route (Hwy 19A) and the Jubilee Parkway which connects us with the Inland Island Hwy, (Hwy 19). Nanaimo is located about 1.75 hours drive to the south and Victoria, about 3.5 hours away. 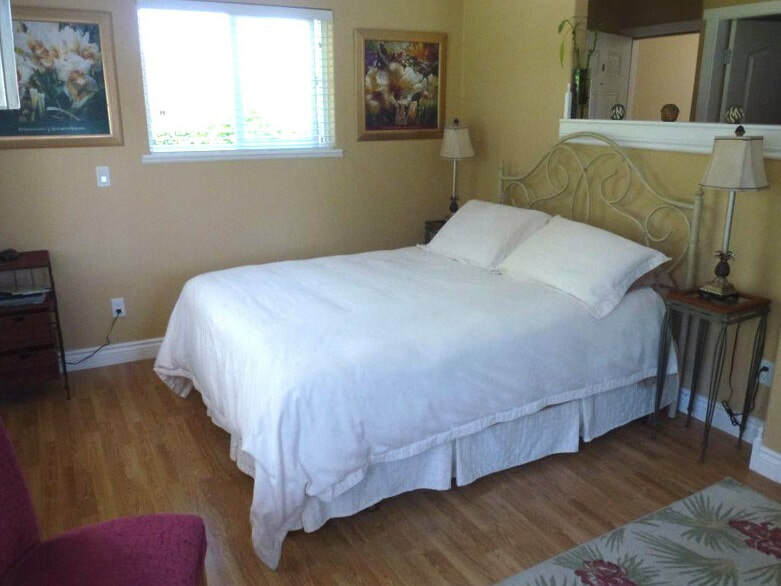 Please see our Getting Here page for links to transportation providers and for maps and driving directions to Beachway Vacation Rentals Suites and Bed & Breakfast. We truly have something for everyone! ​Campbell River is world-famous for salmon fishing, but there is so much more to enjoy. including kayaking, golf, tennis, horseback riding, spelunking, hiking, whale watching and bear viewing, just to name a few! Check out our activities page for a broader listing and links to some of our favorite activity providers! From your queen size bed, awaken to a spectacular sunrise over the waterfront! there is an eagle hunting tree across the road. Kitchenette with all amenities stocked with coffee, tea and basic condiments. ​*Contact us to enquire about our great off-season rates. 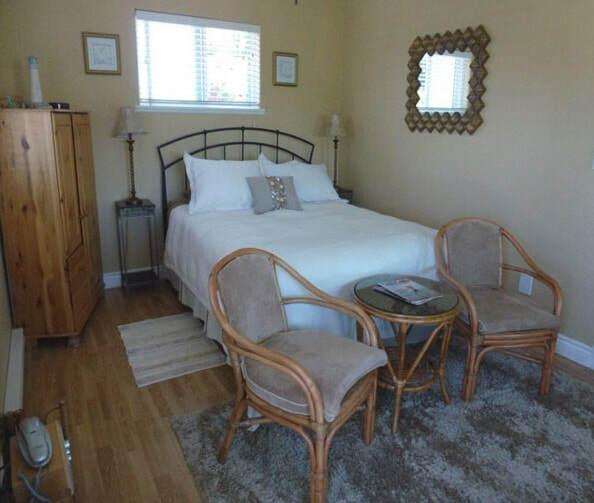 Need both suites to sleep up to 6 guests? 10% discount when renting both suites for the same time period. 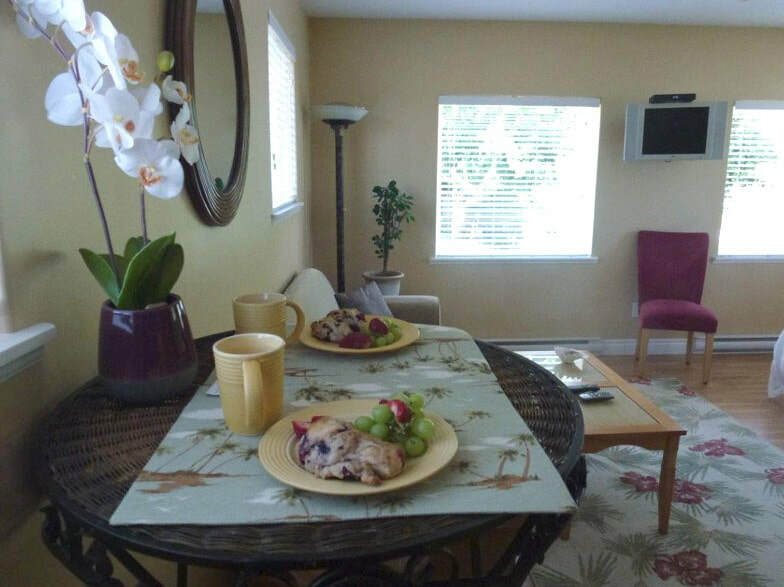 We provide our guests with specialty coffee and teas, cereal, and fruit. available for $15.00 per suite per day. Please contact us to make arrangements in advance. Will you need a dog run for your pet while you’re out for the day? Please let us know when you reserve your suite. Contact us to enquire about our great off-season rates. Enquire about our Deluxe Continental Breakfast, available for $15.00 per suite per day.